When we’re looking at potentially adding a new item to our catalog, there are several different factors that we consider. Chief among those factors are cost and utility. If we can replace an older product with a new one that does the same thing and costs a bit less? That’s great! If we can find a product that costs a bit more than similar units but provides additional functionality? That’s great, too! What about if we find a product line that checks both boxes? One that improves on the utility of classic hydronic staples while also making them more affordable? That’s exactly what we found in Calefactio and that’s why we didn’t hesitate for a second to bring them on board here at Able. Now, if the only time you’ve heard the name Calefactio is on this blog, that’s ok. Today, we’re going to be breaking down the company’s history, philosophy, and products offerings and explaining why we love them. As a family-owned company, Calefactio is free to develop products per their own vision and that vision is: make better, more affordable hydronic accessories. Specifically, they seek to improve the installation experience for contractors while reducing the cost below what is typically expected. Not too difficult to see why we’re on board, right? Now let’s look at the products and see how they accomplish what they set out to do. 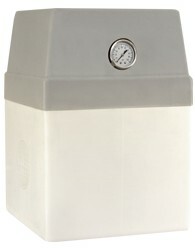 Able Distributors has been selling glycol break tanks for nearly 20 years. Throughout that time, we never saw a model that was particularly different than what we were selling, let alone a significant improvement. Until we saw Calefactio’s GMP-6 package. This glycol break tank is a step up in every possible regard. Low Power Requirements – Any low-voltage will do for this 120/1/60 hydronic component. It includes a 6′ cord to provide additional flexibility when selecting the ideal installation location. 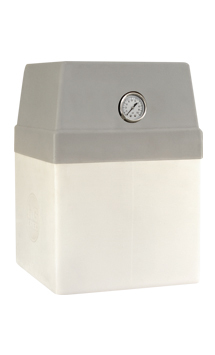 Improved Pressure – The GMP-6 can handle up to 60 PSI, more than 300% of the standard for other tanks! Vibration Isolation – The hose connecting the tank to the system is braided and flexible, preventing system vibrations from traveling to the GMP-6. Installation Shelf – Included with every GMP-6, the installation shelf allows you to locate the tank where it makes the most sense for the system. Self-Priming Pump – This device can fill and pressurize closed loop hydronic systems. The GMP-6 is in stock and available for immediate pickup or delivery at any Able location. The clear majority of the boilers that we sell are high-efficiency condensing models. These units extract additional heat from flue gasses, allowing your clients to heat their homes using less gas than traditional models. This is great! Unfortunately, this method of heating comes with a byproduct: condensate. Condensate can wreak havoc on drain pipes and septic systems if left untreated. That’s where CondenSAFE comes in! 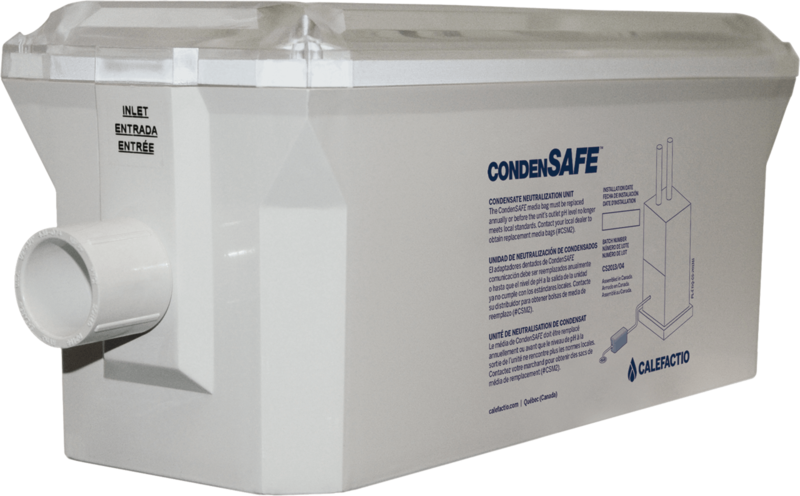 The CondenSAFE System does not require a bypass and it can be hard-piped. It utilizes a modular design that allows it cover systems across a massive range of capacities. Each CondenSAFE unit has three compartments for condensate neutralizing media bags. Each media bag covers up to 525,000 BTU for a full heating season. If your boiler is 500k or less, you just need one bag. For larger systems, all you need to do is drop additional media bags into the designated sections and you’re good to go. Calefactio kept the price on this system down, making it an easy addition for homeowners who are concerned about damaging their septic system or piping. This is one of those products where we’re kicking ourselves for not thinking of it first. The Hydronic Docking Station is the glue that holds installation together. If you’re looking for a single product to make your life easier as a hydronic contractor, this is it. Most modern boilers are wall-mounted units by design. This is partially a function of their smaller size and partially a function of the shrinking size of equipment closets. Wall-mounted boilers can provide some unique challenges when it comes to installing additional components. You could usually find a spot for everything, but it was rarely convenient or attractive. Boom! One product, five connections, and you’re done. You’ve got a location for everything, it looks great, it’s easily accessible for servicing and maintenance. We can’t imagine buying a condensing boiler without one of these. We could not be more excited to be in business with Calefactio. Their vision for HVAC aligns perfectly with ours and their products are an amazing combination of value and utility that we have never seen in the hydronic marketplace. All the products covered above are available exclusively in Chicagoland through Able Distributors! This April, we will be bringing Fujitsu’s Tech 101 class to all four Able locations! These sessions are perfect for anyone looking to become a bit more familiar with Fujitsu’s Halcyon product line of single and multi-zone systems. Kevin Booker, who brings more than three decades of HVAC experience, will be hosting the classes. To get all of the details on what’s being taught and reserve your spot in the class of your choosing, just keep reading. This section of the course will ensure familiarity with Fujitsu’s product line. The differences and benefits of different models and systems will be emphasized and you’ll learn to assess which units are best suited for different applications. Covers everything you need to know to install both indoor and outdoor units. You will also learn how to select the ideal installation location. The final module covers the ins and outs of servicing and maintaining Fujitsu indoor units. Learn everything from diagnosing the issue through error codes to step-by-step servicing; you’ll be an expert by the time you finish! Dinner & beverages will be provided! We'd love to here what you think about us. Able Distributors is the premier HVAC supplier for the Chicagoland's contractor market. Get updates on exclusive content, special promotions, industry news & free classes we offer.